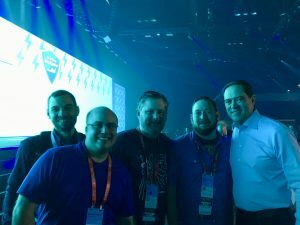 This is a collection of advice on how to get the most out of attending the Cisco Live conference (old hands may still call it Networkers). Some of it is applicable to any training event, but most of it is more specific. I’m a NetVet and have been attending large vendor conferences like this for over a decade (and smaller conferences for even longer). I’ve learned a few things along the way on how to get the most out of my conference attendance. 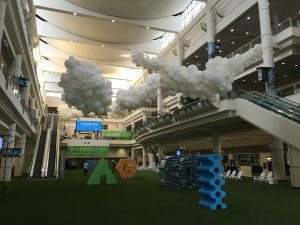 This is written from the standpoint of an attendee of Cisco Live! US. Feel free to add international details in the comments and I may incorporate them. If you have any other corrections or additional suggestions, please comment so I can keep this information up to date and accurate. I’d like this to be a resource for everyone. Plan to get to the conference city no later than mid-afternoon the day before the conference starts. That way even if you have a delayed flight, you should get there before too late in the evening. Even if you can’t check in until 3PM you can always drop your luggage off at the hotel and wander around. The idea is to make sure you get there early enough to get a decent night’s sleep. Don’t forget to pack a good pair of walking shoes because you’re going to be doing a lot of walking. I like having the option of walking to/from the convention. I usually try to find a hotel that’s within 10 minutes of the conference because I don’t like being tied to bus schedules when I can avoid it. That said, it’s nice to have options if the weather is uncooperative or you are just plain tired. This is less of specific advice than just something to take into account when choosing your accommodations. For CLUS 2019 in San Diego, there are plenty of options for short walking distance. However, San Diego isn’t inexpensive near the San Diego Convention Center and many of the options you did have are already sold out as of this writing. That said, there are plenty of hotels in the area that aren’t officially CLUS hotels and plenty of AirBNB options, too. If you don’t mind a short train ride (easy and inexpensive) or Uber/Lyft (easy and still cheaper than renting a car) there are more cost effective options just 10-15 minutes away from the SDCC and Gaslamp Quarter. At Cisco Live, you need to sign up for your breakout sessions before you go. You may have been to conferences where you can wander in & out of session if one turns out to be uninteresting or you have a sudden change of heart about which you want to attend. Cisco Live is a bit different. The purpose of signing up beforehand is not just to be a helpful schedule, but you need to sign up beforehand because it’s your reserved admission for the session. This is primarily important for the most popular sessions, but you don’t want to be stuck waiting outside of a session you really want! Here is how it works: at the doors for every session will be attendants with a computer and a scanner. They will scan your badge as you enter and you will see a green or red indication on the screen. If you are registered for the session, you get the green light and you are good to go. If you aren’t registered or are on the waiting list, you have to wait. If it’s not full, you will get the opportunity to enter shortly before the session begins. If you decide to leave a session and wander to another session in the middle, you will be allowed in to the other session if the room is not at capacity. Sometimes the room not at capacity still means having to find a place to stand. NetVets are conference attendees that have been to 3 of the last 4 Cisco Live conferences on a Full Conference or IT Management registration. NetVets are given the opportunity to sign up for their sessions a week before everyone else. This is done because many sessions repeat from year to year and you may not have been able to get into a popular session in the past. This gives repeat attenders an opportunity to sign up for sessions they haven’t been able to get into. 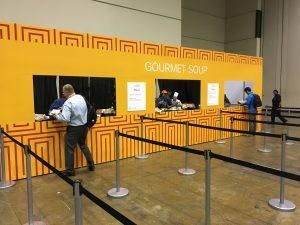 Some of the NetVet perks include: a special lounge (which usually has espresso), a complimentary Cisco Press eBook, and if they are CCIE or CCDE certified, a lunch reception with Cisco CEO Chuck Robbins. When the session catalog opens up on the registration website, I suggest you get in as soon as possible to schedule the sessions you care about most. You can always go back later to change sessions. When I attended my first Cisco Live, I wanted to sign up for all kinds of interesting sessions. After a while I realized that despite there being 4 days of sessions, you can only squeeze so much into your schedule. You must prioritize the topics that are most important. I also recommend you leave some room in your schedule for the World of Solutions Expo, but more on that later. A common piece of advice that can be tough to stick with is to limit the number of different topics you try to take in. Stick to one or two general technology areas. It’s much easier to absorb related information than to pick up lots of detail from multiple unrelated topics. For CLUS 2019, the session catalog will available for viewing on March 19th. Session registration will open for NetVets on April 16 and for everyone else on April 23. They usually soft launch it around 8am Pacific, so don’t wait for the announcement. Just check it! Speaking of scheduling your sessions, I have some advice on how to improve your personal session choice algorithm. Don’t just read the session titles. If a session title sounds interesting, then read the abstract to get more details about what the session will cover. You can also get an idea of the technical depth of a given session based on it’s number. If it’s in the 1000’s, it is introductory. If it’s in the 2000’s, it is intermediate. The 3000 level sessions are advanced. If you are experienced with a given technology and you choose a 1000 level session, you are likely to be disappointed at the lack of depth. For sessions that are not new, you can also look at the slides on Cisco Live On-demand Library to get an idea of what the session will cover. For new sessions, you’ll have to rely on the abstract. Shortly before the conference, you should be able to download the session PDFs and you can double check your choices at that time. Lastly, popular sessions are often repeated. If you have a schedule conflict between two sessions, you may be able to attend one at a different time. While you are scheduling your sessions, you might want to schedule a Meet the Engineer session. It’s time with just you and an engineer who is a specialist on a Cisco technology. They can help you with analysis of a technology, comparison of a Cisco solution with a competing/alternate solution, difficult TAC cases, and more. It’s a great opportunity to get some quality time with someone who can help you solve those difficult problems and answer the hard questions. You can stop by the booth to talk to whoever is available, but if you schedule it before hand you can choose the engineer you want. This is the kind of access you can only get here! There is also a Meet the Engineer button in the session abstracts. This is a great feature to help you find the right person to schedule. If you don’t think you can fill an hour with your questions, schedule an engineer and find some other attendees to accompany you. I’ve found this to be an excellent way to get more out of the MTE sessions! Don’t forget to sign up for your free certification exam and don’t forget to schedule your sessions around it. I recommend doing it first thing in the morning so you are fresh. Eat some fruit for breakfast that morning and save the carbs for later. If you aren’t taking a pre-conference session and can come in early enough, taking the exam on Sunday is a good way to get it out of the way without it distracting from the remaining conference. Don’t forget about Cisco Live On-demand Library . This site has all the PDFs and recordings of most sessions from the last several years of Cisco Live, including international Cisco Live conferences. Some sessions recommend that you have attended another session as a prerequisite. You can view some of these virtually (or at least browse the PDF) before the conference. I like to look through the PDFs of sessions I am considering to help decide if I want to attend. This library is an excellent resource. Even if you don’t go to the conference you should be using it. I’ve written about it before here. I had a band teacher in junior high who used to say, “To be early is to be on time. To be on time is to be late. To be late is to be left.” I’m not very good at following that advice, but it’s good advice! Whenever possible, try to get to your sessions early. Arriving late, only to find there is nowhere to sit, is a bummer. Don’t be afraid to sit in the front, especially if you are late. There are often open seats in the front and in the middle of rows while the back and edges are packed. Be prepared for a good speaker to make light of you and others that are arriving late, at least during the first few minutes. They may even invite you to sit in front. Go with a smile. There are always late people, especially in the morning sessions. You won’t be the only one. Of course, being in the front can backfire if you decide you want to leave. You can feel very conspicuous if you get up and leave. That said, do you pay any attention to other people leaving? Just do it quietly and don’t waste your time in a session that’s not what you need. Why are you or your employer paying for you to attend the conference? Obviously, it’s so you can spend all day “networking” on Twitter/Teams/Slack/Facebook. OK, maybe not. That’s not to say that the proverbial hallway track and social media aren’t valuable. They definitely are. In fact, I recommend following the hashtag #CLUS on Twitter. However, while you are in the midst of the Advanced Troubleshooting of Wireless LANs session is probably not the ideal time to be watching your Twitter feed. Otherwise, you will hear something you really care about, come out of the distraction, and realize you’ve missed it. At least, that’s the way it goes with me, so that is the suggestion I make. On the other hand, most sessions will have a dedicated Spark room with real-time Q&A and the ability task ask questions of the presenters for a few weeks after the conference. That’s a resource worth taking advantage of. Another thing to avoid is the temptation to look up that new feature you just learned about, or even remote into your favorite networking device to see if it supports the new bell and/or whistle. Make a note and save it for later! It’s easier to stay on task if you are comfortable. If heavily air conditioned spaces feel cold to you, you may want to bring a light jacket. Also, you may want to check the weather at the conference location to ensure you pack correctly. If the conference is in San Francisco in May, you need to pack very differently than if it’s Vegas in June. For San Diego, I think you might want to have that light jacket on hand for the evenings, just in case. Average June temperatures have highs in the upper 70s and lows in the 60s. This is the trade show. It’s big. You can definitely spend some time here learning about new products, talking to vendors, and picking the brains of Cisco TAC engineers. I have found at least one useful vendor at every WoS that I previously had no idea existed. You can ask Cisco people, both technical and non-technical, those tough questions you have saved up. There’s a special section of the show just for asking TAC people that question that’s been bugging you or that you thought of because of a session you attended. For the last couple years there has been a booth we affectionately refer to as “The Fishbowl.” This is a transparent booth located inside the WoS where podcasts are recorded live. You can listen from outside the booth and sometimes the audience can even participate by asking questions of the guests. 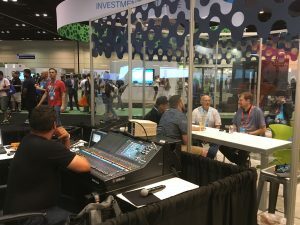 These session often cover the latest products being announced at Cisco Live and can be a great opportunity to meet those who produce your favorite technical podcasts. While I still suggest focusing on the session while you are in a session, there’s still plenty of time to participate in social media. I suspect the occasional tweet about something fantastic in a session won’t hurt, but only you know if that’s too distracting. 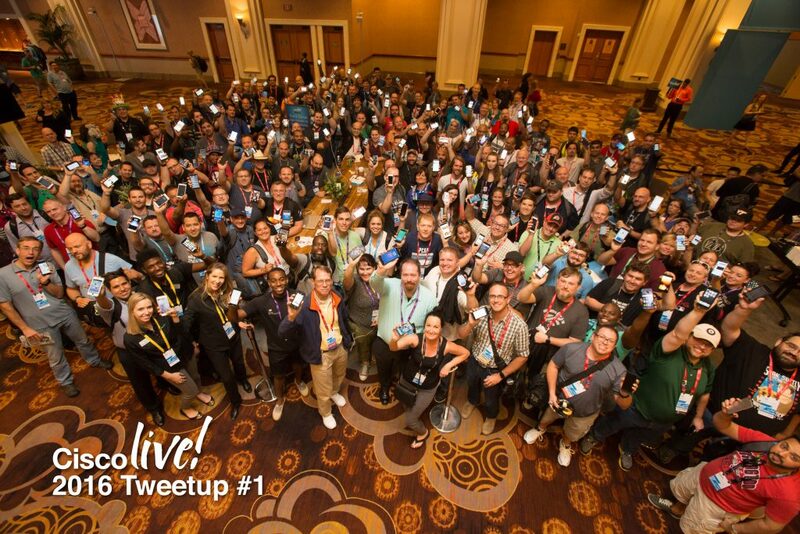 Social media has become a much bigger deal at #CLUS over the years and is a great way to meet people who are worth spending time with and learning from. Don’t forget that social media includes blogging, so take a moment to start a blog and use your sessions notes and experiences as sources for material. Perhaps the conversations you have during the hallway track will spark a great post. Maybe you don’t feel like you have anything to add with all the CCIEs around, but only you have your perspective and there’s always new people learning. Be it on Twitter, blogging, or whatever else works for you, participate. It’s worth it. You might even be able to apply to become a Cisco Champion! 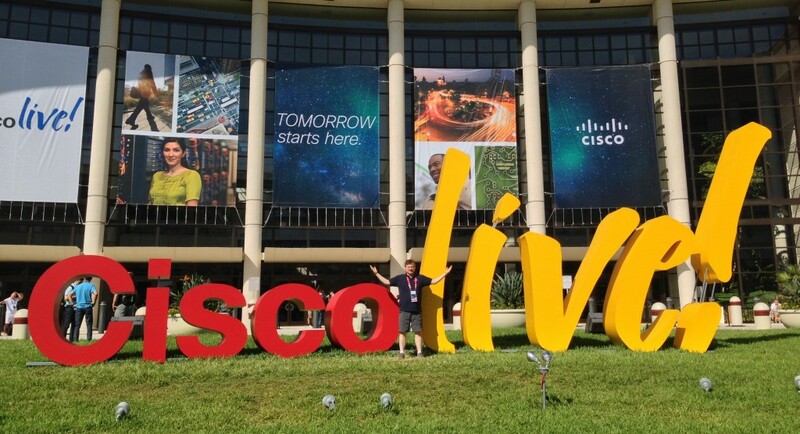 You can check out the Cisco Live Social Media page for all the ways to participate. Most of us are heavy users of mobile devices. While you are attending Cisco Live you will probably spend a lot of time using your smartphone, tablet, and/or laptop. Most sessions will have a place for you to plug in to power/charge your devices. If you want to use these plugs, remember “to be early is to be on time…” The days are very long. I typically will start out by heading to breakfast around 07:30 and won’t get back to the hotel, after dinner and conversation, before 21:00. More like 23:00-00:00 on the night of the CAE (see below). This is a long day for your devices, let alone you. Having some sort of portable charger for your devices is really nice, especially if you are using it for social networking and pictures. The Anker Power-Bank products are popular and I use the micro-USB charged version of Anker PowerCore 13000 C, myself. The new one is nicer because it is USB-C. USB-C all the things! As a conference attendee, your breakfasts and lunches will be provided. I suggest you use some of this time as an opportunity to meet and talk with new people. I’ve never had anyone at a table who wasn’t willing to at least talk shop once someone got the ball rolling. Show up at the table and strike up a conversation. You never know who you might meet. I’ll admit that while I do meet some new people, I have a tendency to move between the groups I know through social media to get some face to face time with people I primary interact with online. Don’t forget to meet some new people while you’re catching up with old friends! During lunch on Monday, Tuesday, and Wednesday, there are also Table Topics. There will be a section of tables in the dining hall set aside for this and all of these tables will have a card with a topic on it. That doesn’t mean that’s the only topic you can talk about at the table, but it will help you connect with people who want to talk about the same thing. So, if you want to discuss the impact of SDN in enterprise networks over lunch (I mean, who wouldn’t?) then you know where to go. There’s lots of topics, so head over and see what you can find. Another great networking opportunity exists at dinner, so find some people to go to dinner with. Dinner isn’t included, though there are vendor parties and receptions that have food, most of them aren’t a good dinner. It’s also hard to sit down and decompress from the day’s events in a crowded and noisy space. A relaxed dinner with some other attendees can be just the thing. Just don’t forget to go to bed at some point, as it’s really easy to keep talking late into the night. If you can’t find anyone to join you for food, check the #clus hash tag on twitter. You might even find me there looking for someone to eat with! The Cisco Live Celebration, formerly the CAE, is a giant social gathering for all the attendees. A large venue is filled with food and music. The music for the event is usually pretty good. Devo, Journey, Weezer, Aerosmith, and Imagine Dragons are some of the examples from the past. It’s a great time to relax and just socialize with people you’ve met at Cisco Live. You can buy a pass for your spouse or SO to accompany you. Sorry, no kids; CAE attendees must be 21. Depending on where the event is going to be held, you may want to have a jacket. Watch the Cisco Live website for details. So that’s my advice for getting the most out of Cisco Live. It’s a great place to learn, network, and get questions answered. You’ll meet people from all types of environments and some will even be similar to yours. You can find out how they do things in their shop or how they solved the same problems you’ve been trying to solve. Sometimes you’ll just share war stories, which can be therapeutic, as well. I find the sessions useful, but the conversations and people you meet can be just as useful, if not more so, than the sessions you attend. I’d add in a “meet the engineer”. Gives you 1on1 time to speak about a particular technology in depth. I also like “table topics” (each lunch time). If you’re going to stuff your face, may as well do it while listening to other engineers like yourself as questions. Technology specific tables exist at each lunch time. Added info on Meet the Engineer. Forgot about the table topics. I’ll go back right now and add that in to the food section. Thank you very much. This will be my first CLUS and I find value in the vet’s giving insight on what to expect and how to make the most of the trip! Breakout sessions: I find useful to pick 4-5 different sessions on an interesting subject rather than mixing too many topics. It is because they are related, and this way I can retain more knowledge. After the conference, I make sure that I have collected the PDF files from all the sessions (yup, all the 450 – and it is easy if you know how). I build and index and use them as a reference for the next year, because usually they are very practical, let alone concise. I come to US from overseas. 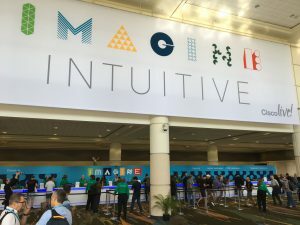 The US version of Cisco Live is so much better, and it gives you access to decision makers, or at least to more people with first hand knowledge. The European version seemed a replay to me, plus they bring local speakers with funny accents (ok, it is still more bearable than hearing Indian English). No breakfast and poorer tchotchkes, but for a higher conference price and more expensive hotels. Great post! A lot of useful information in there. Very comprehensive overview of how to get the most of CLive..great job Scott! You mention that the Luxor is more or less a 30 minutes walk. There is a direct connection from inside the Luxor to Mandalay Bay. I always stay in the Luxor and if you are not too slow walking, it’s more about a 10 to 15 Minute walk maximum. And if your company has some restrictions on hotel-cost, IMO the Luxor is a very good choice. I’ve stayed there before and felt I wasted a LOT of time walking back and forth, especially if I had to go drop of my stuff then head back to the MB. That said, you’re right that 30m is overstating it. I would still say the Luxor tower rooms are about 15m further away from the convention center than a Mandalay Bay room. I’ll correct the article. Thanks for the input! Are 4000 level sessions more advanced than 3000 level sessions, or are they something else entirely? Great blog. Another topic worth mentioning is not to miss the opening keynote with Cisco CEO. It was much better when it was Chambers than last year with Robbins but it’s usually good in content and Cisco strategy/roadmap info. Also, don’t fly home early on Thursday and miss the celebrity closing keynote! Great article. First event and I’m a little concerned as what to expect. Most sessions seem way over my head but I plan on learning quite a bit while I’m there so hopefully that will change. Most rooms have a set of tables in the front, you want those, some tables have power strips you want those, Bring an extension cord that can save your bacon. More reasons to come early. Just wondering because I couldn’t find it on the Live site and this is my first year. When do the walk on self paced labs start? I did not schedule anything on Sunday as it looks to be additional cost classes all day so I was hoping that those labs would be open and avail that day. Also, great blog post thank you for all the great tips. You’re quite welcome and I’m glad you found the post valuable! I usually use Sunday to take my free cert exam and generally orient myself with where everything is. There’s still a good number of people there and there is some time to take advantage of the hallway track before things get crazy on Monday. Thank you for all this info. 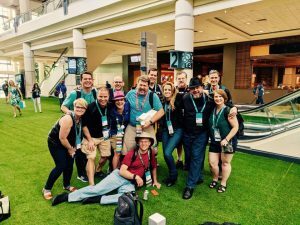 This will be my first CiscoLive and first large conference so I appreciate your time for writing this up! I signed up for a lab Sunday night so I will miss the orientation. Question – Should you have cushion time between sessions to make sure you are not late? I am used to mid size hotel conferences and not convention centers so I am very nervous! Most sessions have at least 30 minutes between them, so you’re probably OK on time. I have a few times over the years left a session a few minutes early when I knew I had to be on the other side of the conference center for a popular session, but that’s unusual. Having enough time between sessions has never really been something I worried about.